In a remarkable feat of airmanship, local pilot John Love landed his aeroplane on the Albury racecourse in between vintage cars, as a re-enactment of the Uiver landing. This was a spectacular feature of the Albury race meeting on 24th October 1979 (the exact Uiver 45th anniversary). John Love’s Lockheed 12A Electra Junior plane (VH-ABH, named Silver City) was used as it was a local aircraft that had some similarities to a DC-2, and there were no airworthy DC-2s in Australia. The Silver City was a small eight-seat, twin-engine, all-metal plane developed in the late 1930s (the same era as the Uiver). Silver City was a very high-performance plane for its day, and the racecourse fairly short for a landing field. For more information about the Lockheed Silver City click here. 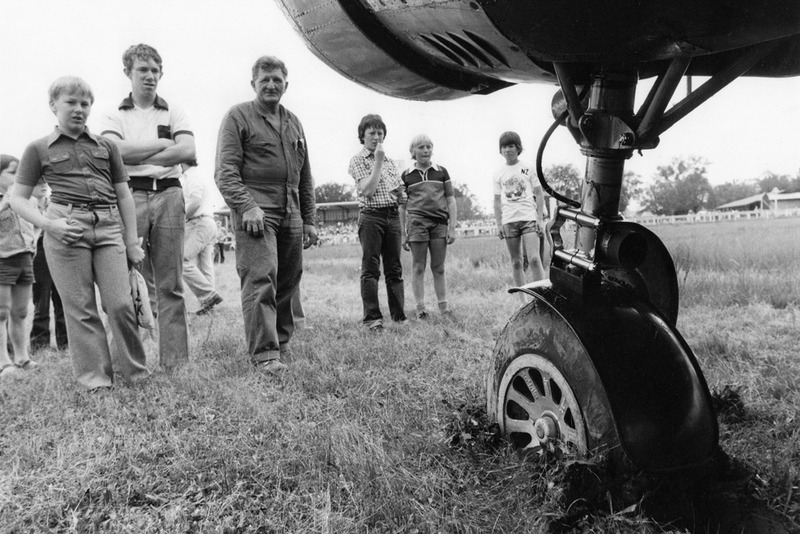 The Lockheed had stopped with its left wheel in a rut in the mud. At the time, John joked, “It’s gotten bogged in the same place as the Uiver!” Late in the afternoon a group of volunteers pulled the Lockheed free of the mud so it could take off. The Silver City Lockheed 12A is the only aircraft to have landed at the Albury racecourse since the Uiver in 1934, and it’s likely to be the last. Listen to John Love interviewed by Ron Anderson for ABC Radio 2CO. 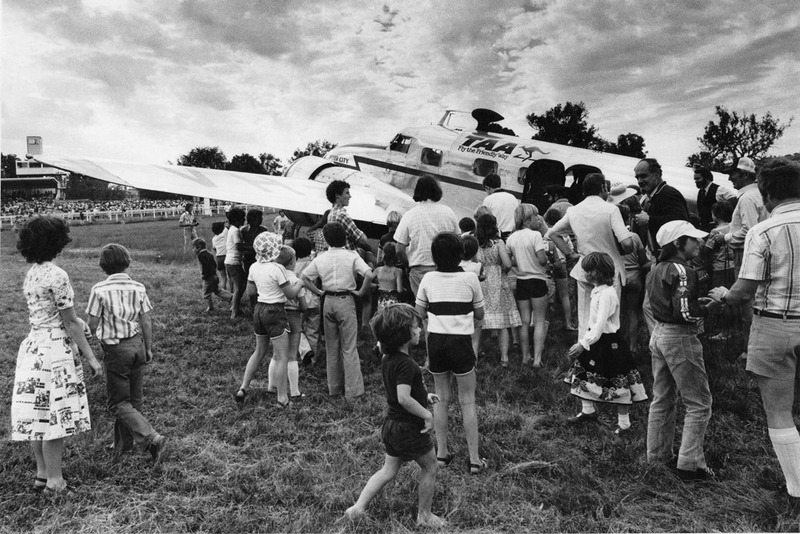 John Love’s Lockheed 12A at Albury Racecourse in 1979. 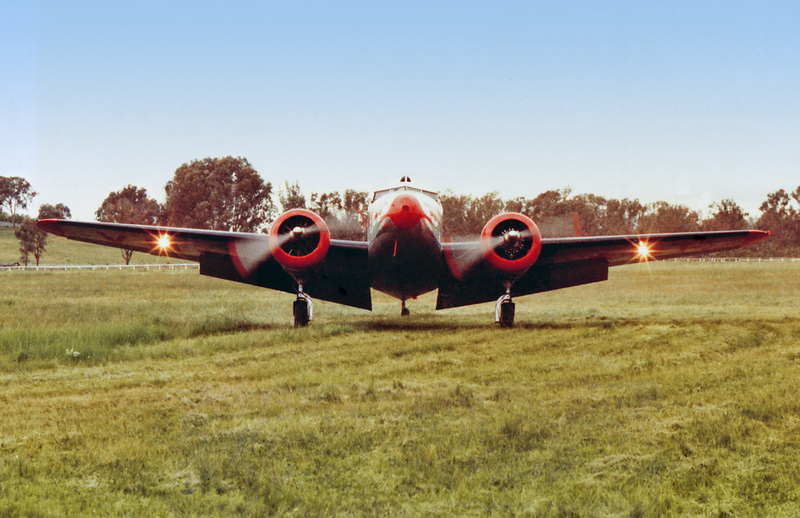 Also in 1979, the Rotary Club of West Albury purchased and refurbished a Douglas DC-2, to represent the Uiver. This ‘Uiver memorial’ DC-2 was mounted on poles at Albury airport as a reminder of the dramatic Uiver rescue. A more detailed description of the Uiver memorial plane is here. 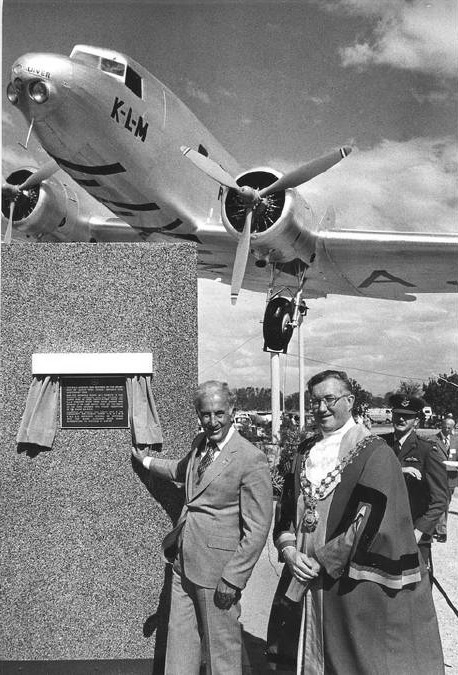 The following year (1980), Albury’s Uiver memorial DC-2 was officially dedicated in a ceremony by the then Governor General of Australia, Sir Zelman Cowen and the then Albury Mayor, Cr John Roach. “I am glad that Rotary, in this, its seventy-fifth year, has cooperated with the Albury City Council in planning and establishing this memorial in this distinctive and highly appropriate form.